Well, it only took a hundred years, but the latest season at the Ottawa Little Theatre is finally nearing a close. Nine shows so far this centennial season the OLT gang have showcased a diff’rent play from one of the decades they’ve been around, and it’s been a pretty good ride so far. I’ve had fun the whole way through, only missing one (COME BLOW YOUR HORN, sorry again!) in the set. 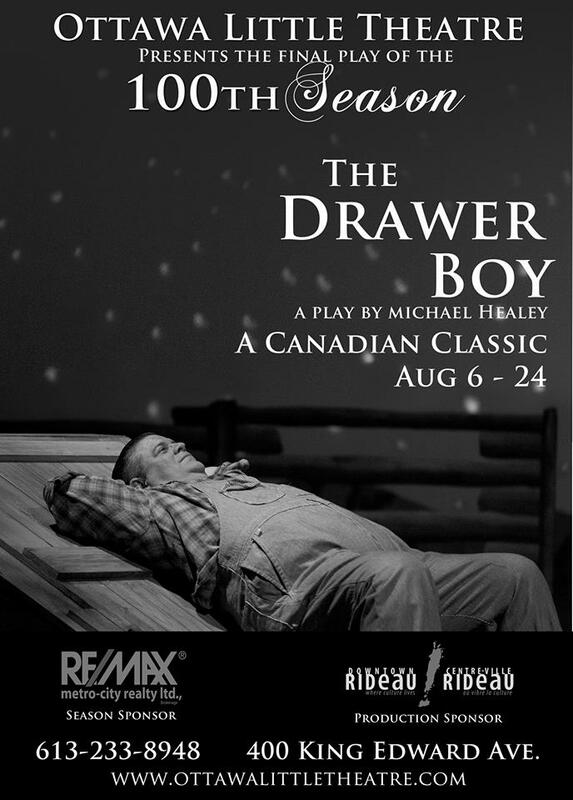 Now we’d made it all the way to the end, and they’d decided to finish things off with a Canadian touch, showcasing Michael Healey’s THE DRAWER BOY. Directed by Chantal Plante, who helmed the OLT’s terrific production of LOST IN YONKERS the previous season, this is a bit of an odd show on paper…a Canadian classic about the making of a Canadian classic. 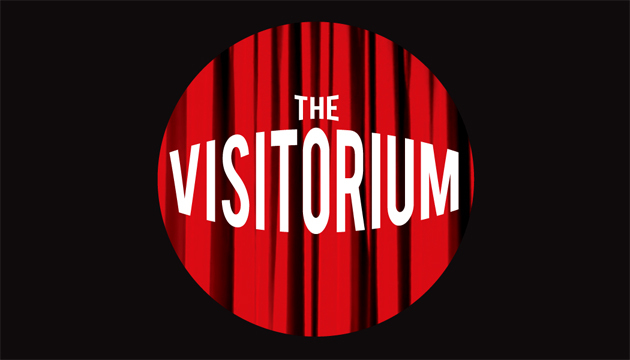 A semi-fictional recounting of the creation of THE FARM SHOW in the 1970’s, the show follows eager Toronto actor Miles (Mike McSheffrey) to a small rural farm run by stern Morgan (Mark Kielty) and his Brother Angus (Brian Cano). Angus is a special sort…pleasant to talk to, but without enough long-term memory left to remember what Miles’ name is from one minute to the next. An accident in the war, Morgan tells him, as he attempts to care for both his brother and the farm. But Miles’ snooping investigations into farm life to find material for the play become problematic when he hears something he shouldn’t have, and Morgan is less than thrilled to see it performed on stage a few days later. Angus is tickled, however, even if he can’t quite recall why…yet. And just what the Hell is it he’s always looking for? Next CRUSHED! My Summer Crush 2013 Preview!